Hometown pickup! 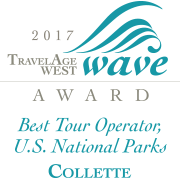 Collette includes hometown to airport transportation service for groups of 10 or more on air-inclusive tours, when within 100 kilometres of the airport. Ready to reserve the trip of a lifetime? Call 800.340.5158 or find an expert travel agent in your area.